Have you ever wondered how to charge your electronics while hiking? Maybe you’re a photographer or maybe you rely on your GPS device to navigate the trails. Whatever your reason, a solar backpack is the solution. 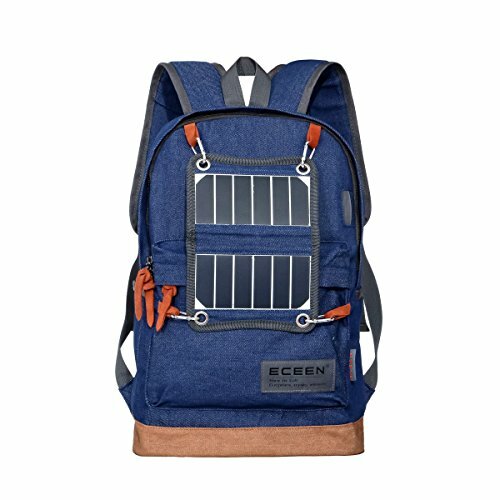 But how do you know what is the best solar backpack for you? One of our big goals here at The Adventure Junkies is to make your life easier when it comes to gear shopping. In this guide, we’ll walk you through how to choose a solar backpack and show you our selection of the best models of the year. 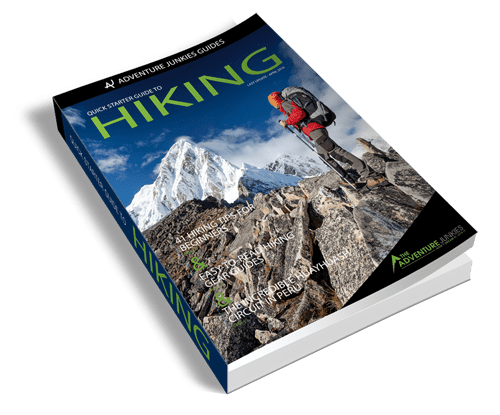 Do you plan to go on longer hikes, including overnight treks? If so you’ll want to consider weight. Slightly heavier solar backpacks are fine for day hikes, as you will carry less gear, water and food. 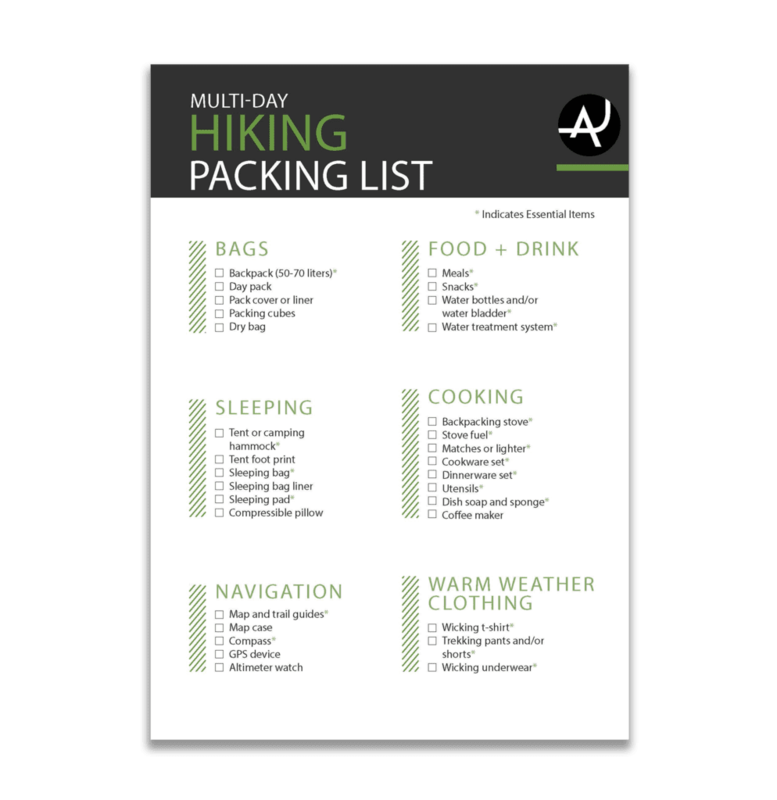 However, a backpack’s weight becomes a more important factor as the distance of the hike increases. 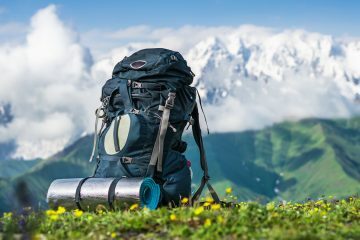 In general, always consider buying the lightest backpack in its category unless the extra weight is substituted for much more volume and/or solar power. Again, this one applies to the long distance and multi-day hikers. 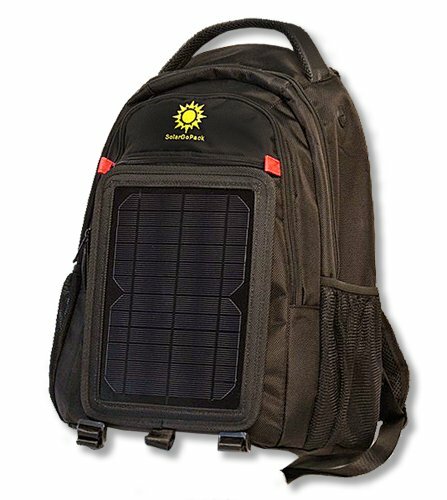 The volume of your solar backpack is almost directly related to its use. A small backpack is great for commuting to and from work, using it as a carry-on bag and during short day hikes. But if you want to do some serious trekking, a bigger backpack is what you need. 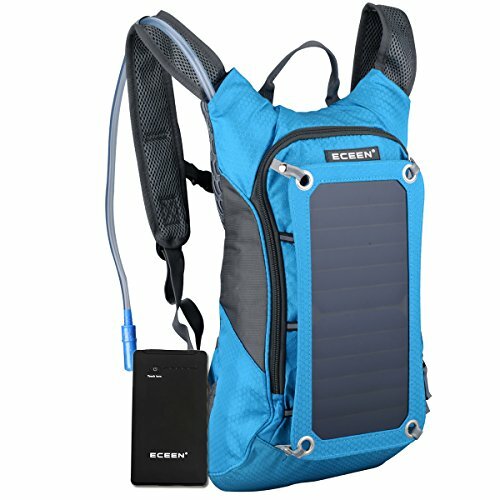 Having to carry plenty of food and water, maybe even camping gear, makes a bigger solar backpack a necessity. 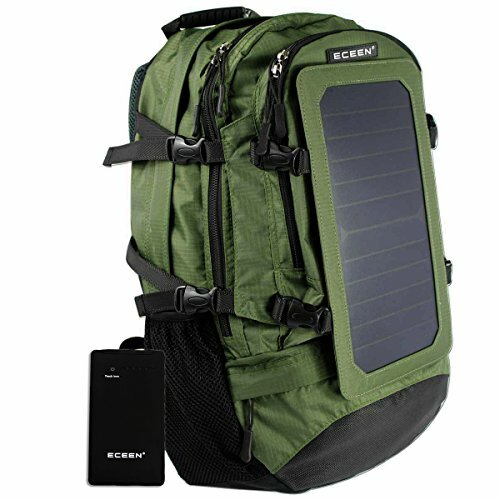 Again, both weight and volume depend on what you will use the solar backpack for. 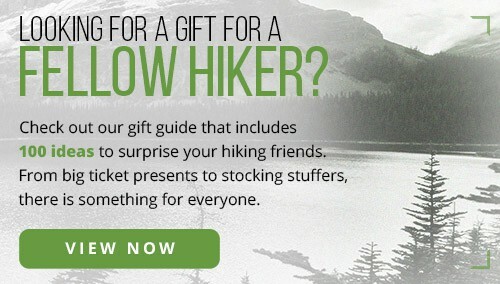 Generally, it’s lighter yet larger for long hikes. 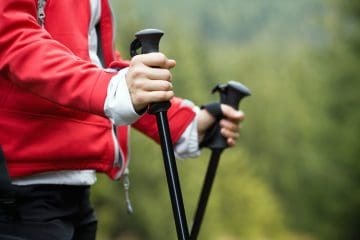 On short hikes, it’s okay to go for smaller and even slightly heavier ones. 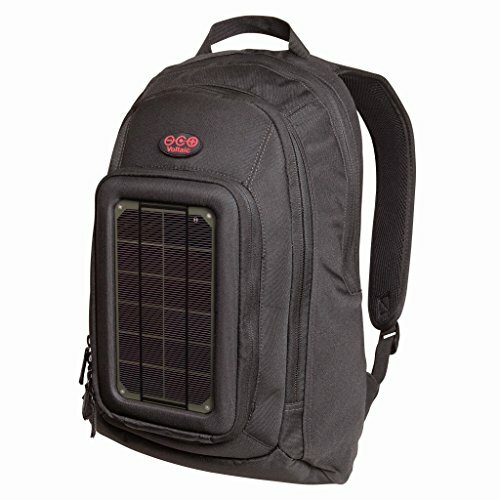 The one main feature of the best solar backpacks is their solar capacity. 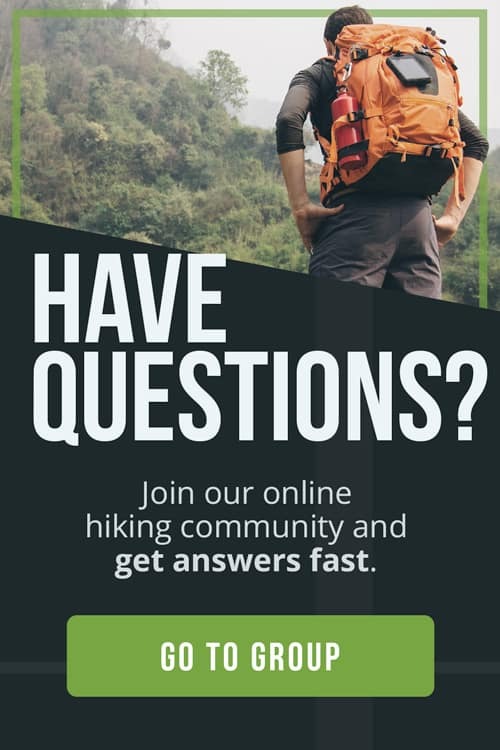 It’s what distinguishes them from all other hiking backpacks. So, this is something to consider as well. The ideal solar capacity and battery power depend on how attached you are to your electronic devices. 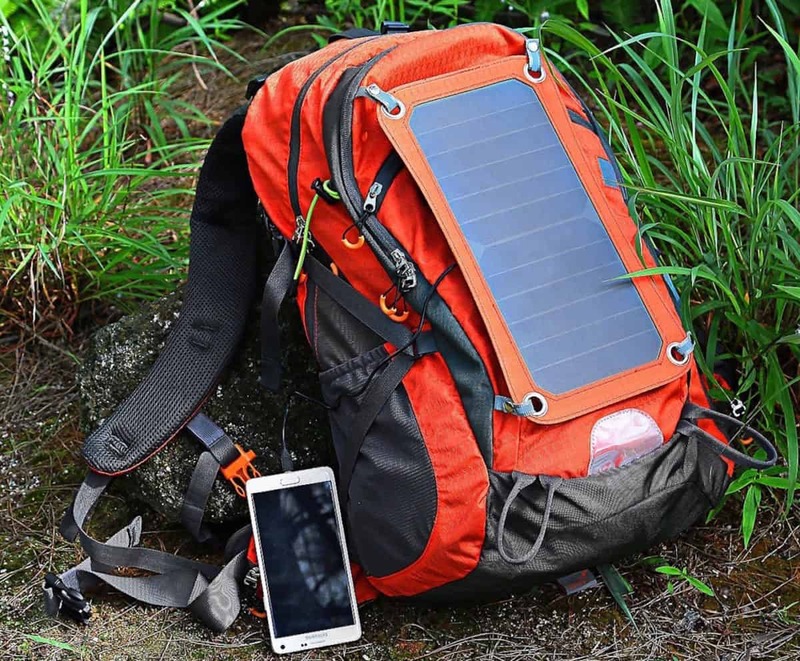 Some solar backpacks provide just enough energy to keep your smartphone charged. This is perfect if you’re only using it in emergencies. 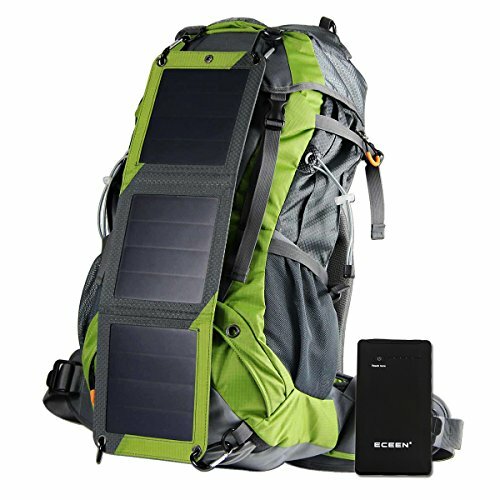 Other solar backpacks, however, have enough power to charge your smartphone, GPS unit, DSLR camera and even laptop. Those are superb options for hiking photographers. They are great if you spend significant time in the wild and need to keep your devices running. Last but not least—budget. The cost is always a major factor in the decision-making process of outdoor gear. 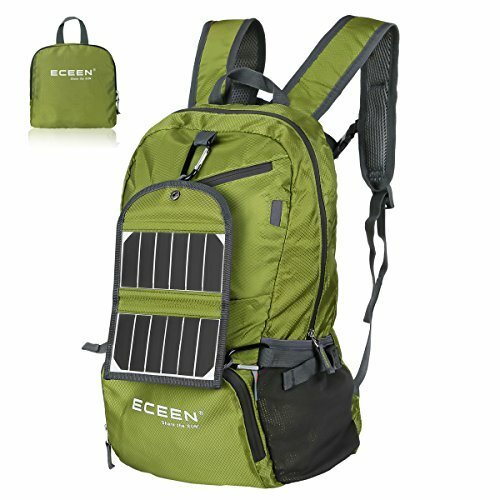 There is a significant price difference between the cheapest and the most expensive solar backpacks. This makes it necessary to weigh the pros against the cons. A higher cost usually correlates with better quality, increased durability and, often, less weight. These factors are all worth considering. 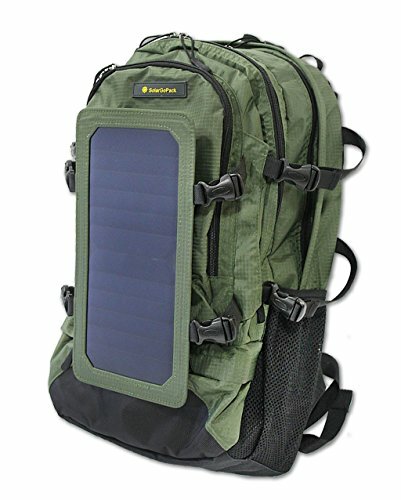 Look at a solar backpack as an investment. Money well spent will result in many more years of use.